A slight majority of Canadians are calling the lack of new oil pipeline capacity in the country a "crisis," according to findings from a recent survey by the Angus Reid Institute. The institute surveyed 4,024 Canadian adults between Dec. 21 and Jan. 3, and found that 58 per cent affirmed that the lack of new oil pipeline capacity constitutes a crisis, while 42 per cent said it does not. But responses varied widely though across the provinces, with a high of 87 per cent of Albertans polled calling it a crisis while, at the low end, only 40 per cent of Quebecers had a similar sentiment. Results from the rest of the country were more evenly divided, with 61 per cent calling the issue a crisis in Ontario, Manitoba and the Atlantic provinces, while Saskatchewan polled at 74 per cent, and B.C. was close to deadlocked with a slight edge toward "crisis" with 53 per cent. These results were further informed by a survey question asking participants to choose the top two or three economic industries they feel are most critical to Canada. The results suggest a marked departure from past national polls on oil pipelines, according to the institure, which says interest in pipeline capacity has moved beyond Alberta and B.C. to become an issue of national importance. "More Canadians certainly further away from the debate… such as in places like Atlantic Canada, in Ontario and Manitoba [are] suddenly more engaged and offering more decided views on the issue," said executive director Shachi Kurl. Its emergence as a national issue appears to be supported by another question, asking what kind of impact no new oil pipeline would have on Canada's economy, the respondent's own province and their individual household. Most said it would have little effect on their household, with only 35 per cent viewing it as having a major impact. Meanwhile 58 per cent said it would have a major impact on their province, and 69 per cent said it would have a major impact on Canada's economy. "It's a little bit harder for Canadians to wrap their heads around to what extent is this a bread and butter issue for me, to what extent is this an issue that will affect my standard of living, my own personal household, but there is no doubt they see it as an issue that has the potential to impact the Canadian economy overall," said Kurl. 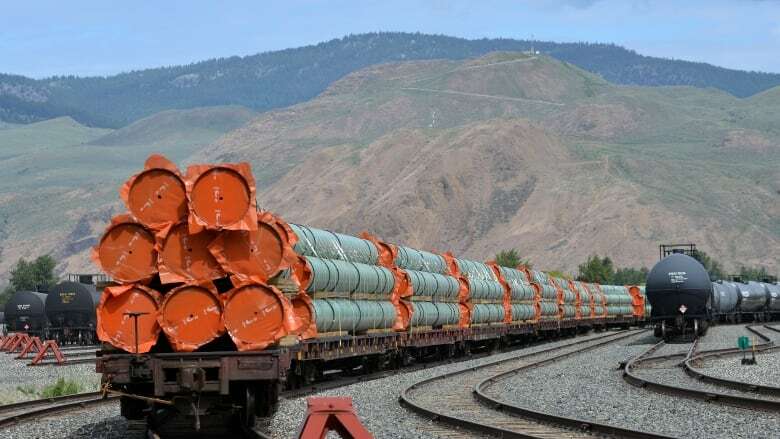 Looking at Canadians' impressions of the Trans Mountain and Energy East pipelines, 53 per cent of respondents voiced support for both, while 19 per cent opposed both, 17 per cent couldn't decide, six per cent supported just the former pipeline, and five per cent supported only the latter. In terms of the weight that should be allocated to local opposition of oil pipeline projects 63 per cent of Canadians were of the opinion that little to no weight should be given. The low levels of respect for local opposition was strongest in Alberta and Saskatchewan, while respondents from B.C. and Quebec would assign more weight to the voices of local opposition. Comparing age groups on pipeline issues, the survey found the majority of Canadians ages 18 to 34 were not supportive of pipelines, while little more than half of those ages 35 to 54 were supportive, and those over the age of 55 expressed the most support for pipelines and labelled the lack of pipeline capacity a crisis.